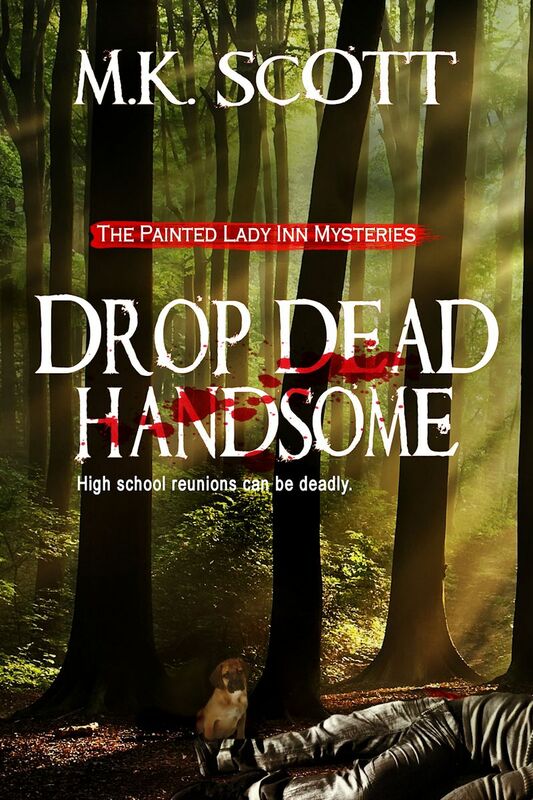 Today’s feature is a special excerpt from the cozy mystery, Drop Dead Handsome by M.K. Scott. During the virtual book tour, the authors will be awarding a prize to multiple winners such as $50 Amazon gift cards, $15 Target or Groupon gift cards, and other gift cards and books to randomly drawn winners. To be entered for a chance to win, use the form below. To increase your chances of winning, feel free to visit the other tour stops and enter there, too! M.K. Scott is the husband and wife writing team behind The Painted Lady Inn Mysteries. 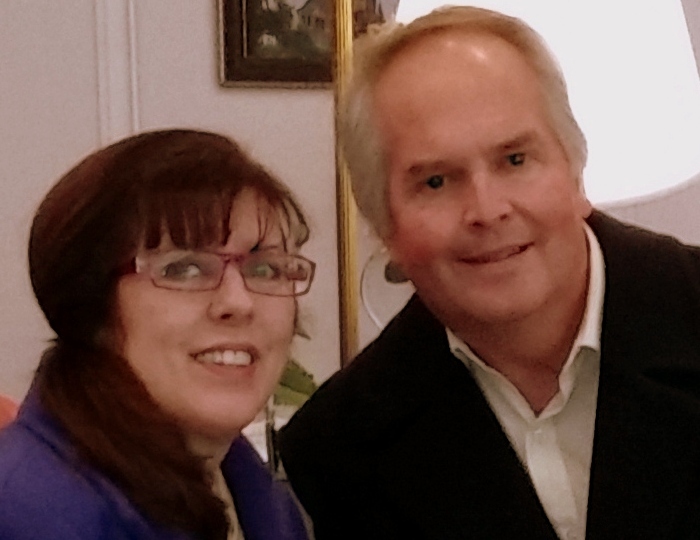 Morgan K Wyatt is the general wordsmith, while her husband, Scott, is the grammar hammer and physics specialist. He uses his engineering skills to explain how fast a body falls when pushed over a cliff and various other felonious activities. The Internet and experts in the field provide forensic information, while the recipes and B and B details require a more hands on approach. Morgan’s daughter who manages a hotel provides guest horror stories to fuel the plot lines. The couple’s dog, Chance, is the inspiration behind Jasper, Donna’s dog. Murder Mansion is the first book in The Painted Lady Inn Mysteries. Overall, it is a fun series to create and read. Drop Dead Handsome is the second book in the series. Killer Review should be out in October 2016. I’m welcoming Merry Freer to Reviews and Interviews today. We’re talking about her new paranormal/occult novel Special Levels of Earthly Hell. During her virtual book tour, Merry will be giving away a $20 Amazon or Barnes and Noble (winner’s choice) gift card. To be entered for a chance to win, use the form below. To increase your chances of winning, feel free to visit her other tour stops and enter there, too! Merry Freer is an author of memoir and fact-based fiction. 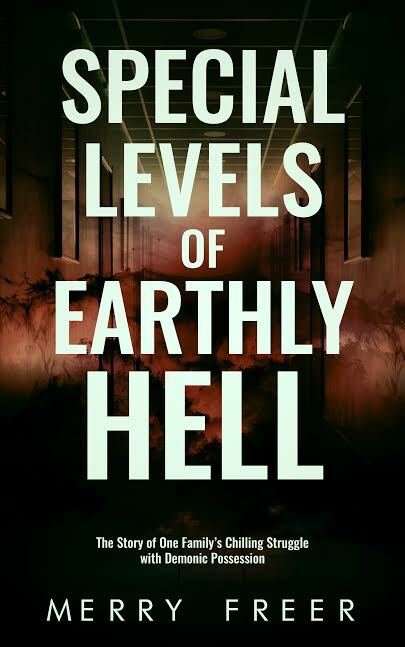 Special Levels of Earthly Hell: The Story of One Family’s Chilling Struggle with Demonic Possession was inspired by actual events that were experienced by her nuclear and extended families, tearing relationships apart and making national news headlines. This book comes on the heels of her first book, a memoir named Doctor, Doctor. 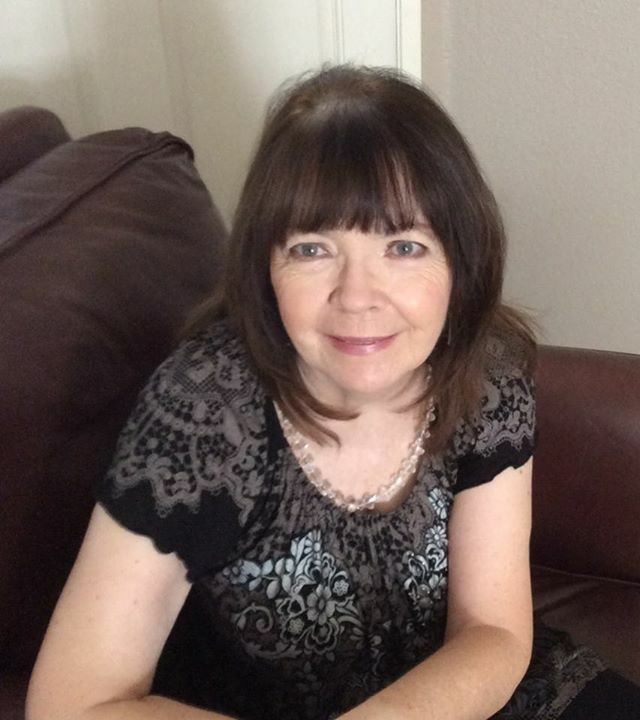 While Doctor, Doctor is her debut novel, she has been a writer and editor for many years, including work with the San Diego Chargers and the San Diego Hall of Champions. She holds a Bachelor's Degree in Journalism from San Diego State University and has been a featured speaker for classes dealing with medical ethics. Her controversial memoir, Doctor, Doctor, topped the Best Seller List in True Crime/White Collar Crime for 10 months and received a "Best Books of 2014" award from "Suspense Magazine." Welcome, Merry. Please share a little bit about your current release. Special Levels of Earthly Hell was inspired by the true story of Drew Collins, an educated, science-oriented young man who rejects belief in the paranormal and the existence of demons – until an evil energy he calls “The Beast” repeatedly enters his bedroom at night and takes possession of his wife’s body. What he witnesses at night in his own bedroom cannot be reconciled with science. And yet he sees it with his own eyes, feels its presence, ominous and evil, with his entire being. Against every instinct, Drew reaches out for help. It is not just his marriage that’s at stake. The evil force has invaded his wife’s family, tearing them apart and culminating in bloodshed and murder. Drew must face a stark choice: sacrifice his belief that the world is a rational place and fight an entity he doesn’t understand and is reluctant to label, or abandon his wife and her family. Sadly, the most frightening and brutal events in this book are factual and the telling of this story was cathartic for several of the characters involved. The story is loosely based on a family's experience with multiple tragedies. It is also an excruciatingly factual account of one man's experience with a loved one who is possessed by a demonic presence. However, it transcends genre and is as much a tale of romance, of cultural barriers, of abuse, and of family drama, as it is of demonic possession. The link between the introduction of an evil spirit and the heartbreaking misfortunes that are visited on the family is left for the reader to decide. Drew didn't remember falling asleep. He did remember waking up. Something was wrong. A chill traveled up his spine and enveloped him. With a sickening feeling of familiarity, sweat began to form on his forehead and trickle down his temples as fear overcame him. He quickly glanced at the digital clock on the table beside the bed. The blood-red numbers announced the time eerily – 3:00am - a haunting reminder of the first time. Someone was watching him. He was certain of it. His eyes were immediately drawn to the window. A dark fear formed in his gut and sent out tentacles of terror that invaded his thoughts and squeezed his lungs, threatening his very breath. The sensation of movement brought him to his feet but his trembling legs couldn’t support him and he allowed himself to fall back onto the bed next to his sleeping wife, Adriana. Turning his head toward the window, he looked closer at what appeared to be vapor, distorted lines of energy waving like the air in the distance over a desert highway in August. A terrifying feeling of knowledge washed over him. It was alive. I’m thinking of moving out of my primarily non-fiction comfort zone and plan to move into a story that involves time travel. It’s in my head – I just need to put it on paper! I’ve always had a passion for writing and wrote some pretty elaborate stories as early as age seven. My interest in writing led me to a degree in journalism, but it wasn’t until I wrote my first published book with a plot, Doctor, Doctor that I truly considered myself a writer. Sometimes I write full-time and sometimes I don’t. I’m retired, so I have the luxury of creating my own schedule. When I’m not writing I enjoy spending time with my family and friends, hiking and shopping for treasures at thrift stores and yard sales. Frequently I will think of an idea or a way to solve a writing issue when I’m out and about and I dictate my ideas to my phone and send myself e-mails. When I was a child, girls didn’t tend to have aspirations that reached beyond being a teacher or a nurse. I’m not much of a “future thinker” but I thought being a wife and mother sounded easy and pleasant enough. What a surprise that was! If you choose to read Special Levels of Earthly Hell it is my hope that you will not see it solely as a story of demonic possession. The characters in this book are based on real people, and the book documents their stories of immigration to a country that was foreign to them and the cultural barriers they confronted as a result. A good “demon” story is always interesting, but one that happens to real people who have real problems aside from the ghosts that haunt them is even better.